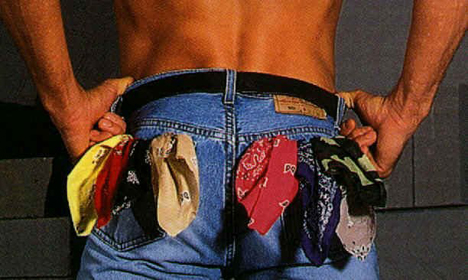 The History Project is bringing back the hanky code next week on Sunday, April 22. 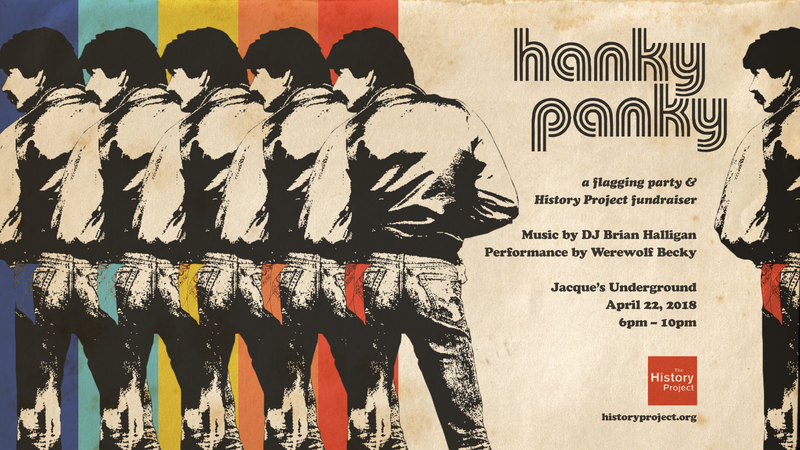 The color-coded signaling system popular in the 70s & 80s will be hosted at Jacques and will have music by DJ Brian Halligan as well as a performance by Werewolf Becky. Tickets must be purchased in advance to attend this party. In case you’ve forgotten (or maybe you are so young you have no idea what I’m talking about) you can get more information about what the colors mean and the significance of the left side and right side placement by visiting wikipedia’s, handkerchief code page. Sunday, April 22, 6:00 – 10:00 p.m. The History Project is an independent, all-volunteer archives that documents, preserves, and shares the history of Boston’s LGBTQ community. Visit historyproject.org.